Yagan began painting at the age of thirteen. He studied painting at the Plastic Arts Center of the Faculty of Fine Arts in Aleppo and graduated in 1964. He held his first solo exhibition at the city’s National Museum five years later. Yagan is widely known for chronicling the modern day experiences of Aleppo residents and their instinctive attachment to the centuries-old city. Yagan’s atmospheric paintings have followed two distinct tracts, and can be divided between scenes derived from ancient mythology and literature such as his Gilgamesh and Arabian Nights series, and compositions exploring the morose café culture that hosts Syria’s recluses, alienated philosophers, and an assortment of other downtrodden clientele. 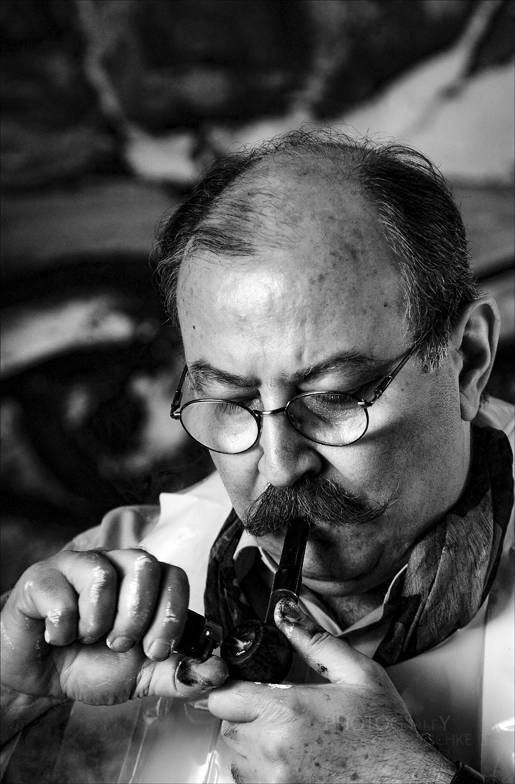 His works are housed in the National Museum of Damascus and Aleppo and the Syrian Ministry of Culture. Internationally his works can be found in Musee d’Art Contemporain-de Montreal, Canada, Museum of Modern Art, Belgium and the Jordan National Gallery of Fine Arts.